When so much talent comes in to make a film, the expectations are that the sum will be worthwhile to an extent. An award winner in the director’s chair, a couple of solid actors, and an all-time great composer should be able to create a good film and yet Inferno falls almost completely flat for the entirety of it's two-hour runtime. 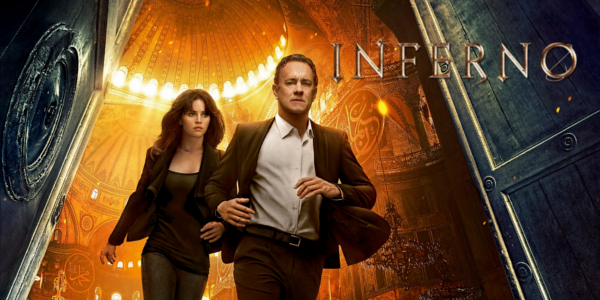 Struck by the third film curse or just the result of boring source material, Inferno just can't get anything right. 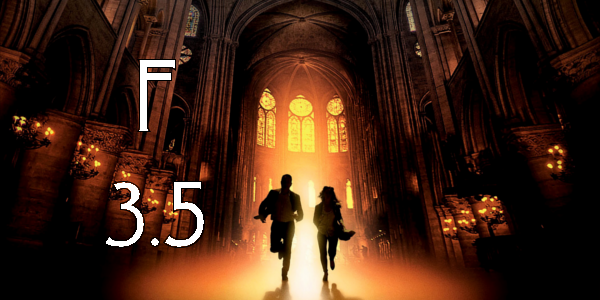 Now I can say that I slightly enjoyed the first film of this Dan Brown trilogy, The Da Vinci Code, but didn’t like the second, Angels & Demons, at all so I was relatively confused why the third, Inferno, even needed to be made. And true to form, the newest film is measurably worse than its predecessor. There is so little story being told here outside of the ongoing mystery and yet it still manages to be convoluted. The boring and tedious nature of the film as a whole is astounding even though it’s so fast paced that you can’t ever truly settle in. None of these flaws are the fault of the actors either, who do their best with the little that they’re given. Tom Hanks could sleep through a film and still give a good performance somehow he is just that great of an actor time in and time out. Felicity Jones is fantastic as well, though her isn’t always believable in some of her actions. But despite both of them giving good performances in a bad film, their character (and everyone else) aren’t really characters at all, having exactly zero depth. Most of these issues can be traced back to a shoddy script or even bad direction from Ron Howard. The film serves as more of a history lesson about Dante rather than a film featuring facts about Dante. And if that doesn’t quite make sense than it fits in with Inferno and it’s flawed logic within it’s own rules. No amount of connection is established despite the high stakes and you’ll find yourself looking at your watch rather than worrying about the characters. Overall, Inferno is just a mess of a film that somehow never settles down despite the boring nature of it all. The performances are not bad and if you’re a Tom Hanks fan or Dan Brown fan, you’ll most likely find something to enjoy, but if not just save your money for a better film. Because despite the tremendous pieces in place, the puzzle just doesn’t come together. So what did you think of Inferno? Have you seen it and what do think of the first two entries? Share, subscribe, comment below, and as always return to I Am Sam for weekly reviews and insight.